About server "Everything about the data compression"
data compression resource for everyone. 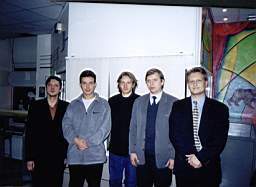 The project is non-commercial and is supported by the Computer Graphics and Multimedia Laboratory on the computing mathematics and cybernetics department of MSU (Moscow State University). Server is filled with Russian materials first of all, and materials of Russian authors. Simply because such servers are too little. Moreover, such articles are scattered in many magazines, so it's difficult to get them even if you know where and what to look for. We specially collect materials with serious scientific directivity, which are useful for creating powerful compressors and codecs of state-of-the-art level. Alas! such materials are usually written in English even in those cases when the authors are Russian-speaking. We specially collect and write materials popularly explaining main points of various compression methods functioning. author of compressors ENC and EPM. server scripts (updates, announces, statistics, mistakes, search and so on). forum (answers to questions and other public relation issues). other sections on audio, if they appear. section "Kolmogorov complexity", if such appears with his help. Little photo of some of project participants. 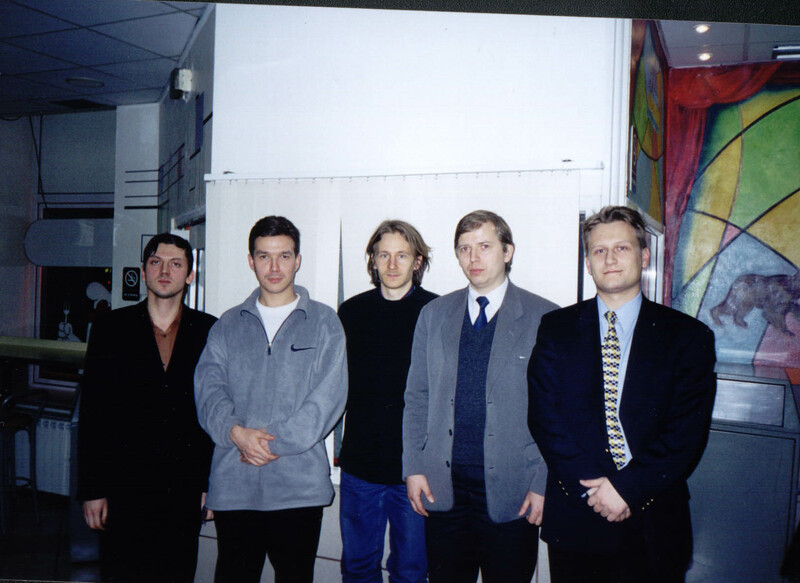 From left to right: Bulat Ziganshin, Dmitriy Vatolin, Alexander Ratushnyak, Vadim Yoockin, Sergey Kabanov. sections on algorithms for compression with strict limitations (on memory size, execution time and so on). 2) English and Russian sections about Russian compression methods and "Hall of Fame" with descriptions of inventions, algorithms, programs made in ex-USSR or by authors from ex-USSR. 3) Section of news about compression (new archivers, codecs etc.) with links to corresponding pages/resources and replenishment through a form. 4) Technical and linguistic questions: classifiers, context-dependent navigation on the site, search and so on. 6) Links to main conventional test sets for data compression. main data processing algorithms (a-la "numeric recipes"). "I am ready to share the HTML section of the book." "It's intuitively clear that this list has too many positions. Everything concerning images, LZ, and also "Links" - I'd wish to PASS OVER TO RELIABLE HANDS."